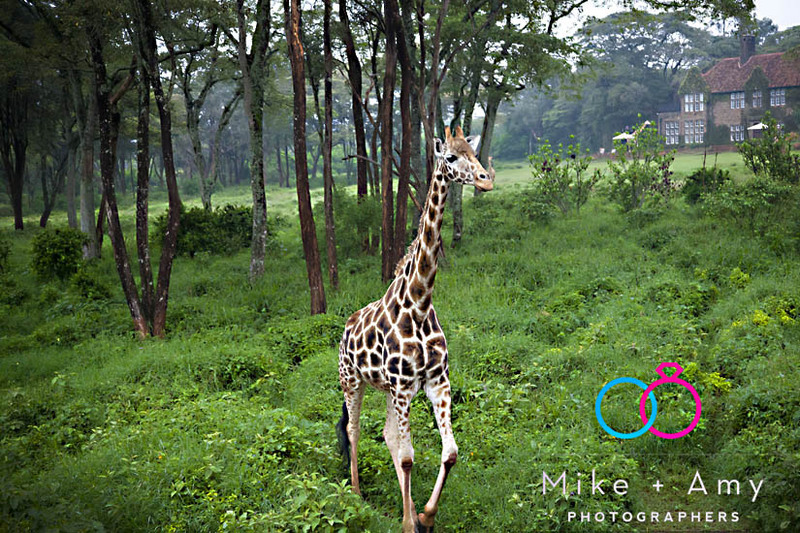 As many of you that follow Mike and I on facebook already know we have taken 6 weeks leave from our wedding photography and headed over to East Africa! We have been looking forward to this trip all year! We arrived in Nairobi, Kenya on Tuesday afternoon. We have spent the last three days in Nairobi and will head on Safari on Sunday morning. We have booked to do two different tours. The first is an Intrepid tour which takes in the Rift Valley, Lake Victoria, Serengeti National Park and Mount Killimanjaro… Yes Mike and I are going to Attempt the hike up Mount Killimanjaro. I will blog about our second tour later. 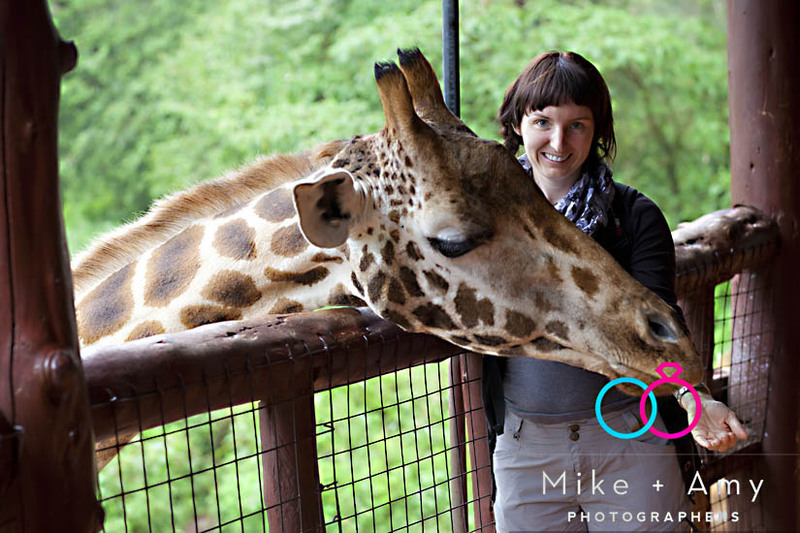 There is not much for tourist to do in Nairobi, we did however visit the Giraffe Centre. 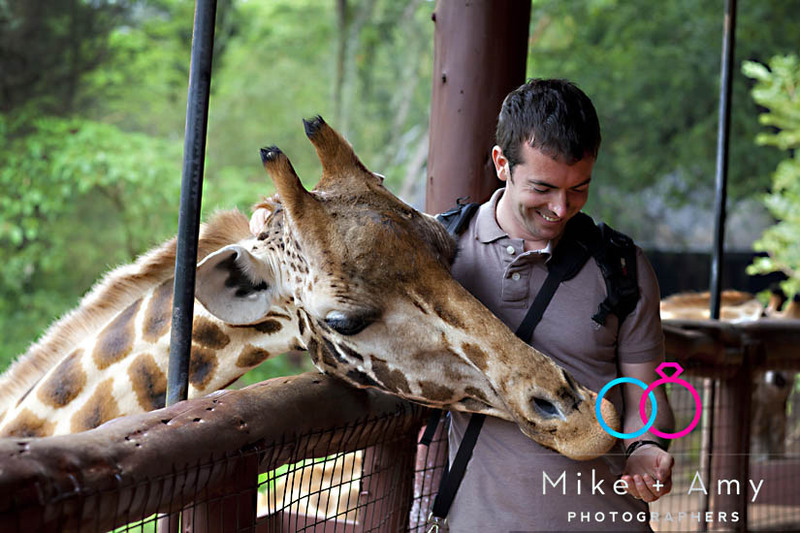 The Giraffe Centre is basically a breeding centre run by the African Fun for endangered Wildlife. I didn’t know this… but there are three types of giraffe. There are the reticulated and Masai giraffes which are the ones we will see on safari. There are also the Rothschild giraffe which is an endangered species due to severe habitat loss in Western Kenya. 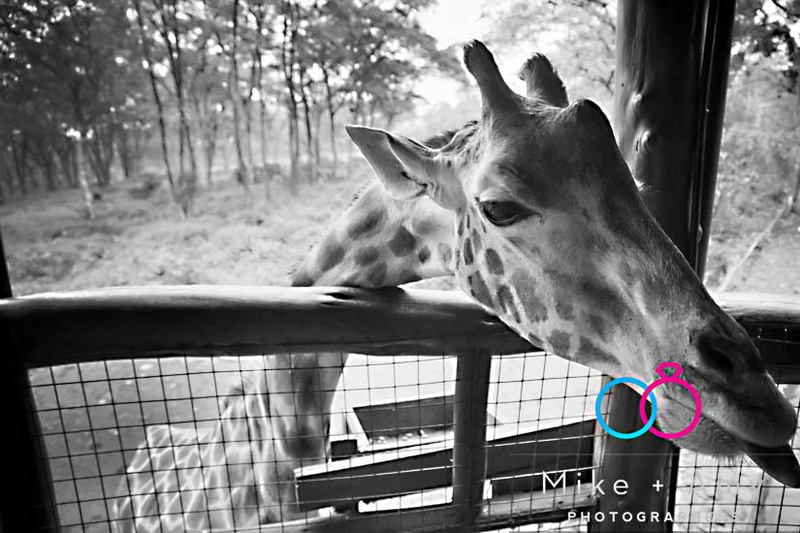 The Giraffe Centre is a breeding ground for this giraffe. In 1979 when the centre was just starting out there was an estimate of 130 Rothschild giraffes in the wild. There are now estimated to be more than 300 in the wild. The mission statement for the centre is to create awareness and provide environmental education aimed at encouraging visitors to appreciate and conserve Kenya’s biodiversity. Mike and I had a great time at the centre. 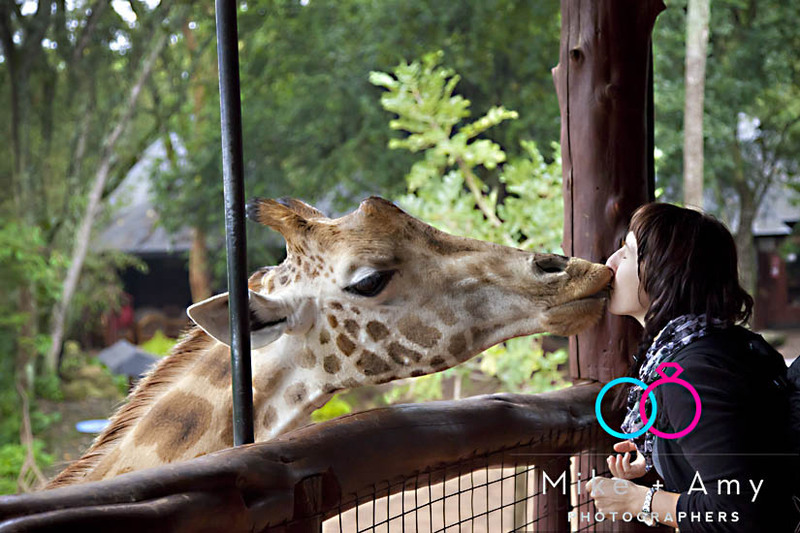 We were able to view the giraffes, hand-feed, hug them and even get a kiss….. I was a little grossed out this at first until I learnt that the giraffes saliva is in fact an antiseptic. Our hands felt so clean after the food being licked off. There was also an interesting nature walk across the road through the Gogo River bird Sanctuary. We also visited the David Sheldrick Wildlife Trust. The wildlife trust can be found occupying a plot in the Nairobi National Park. 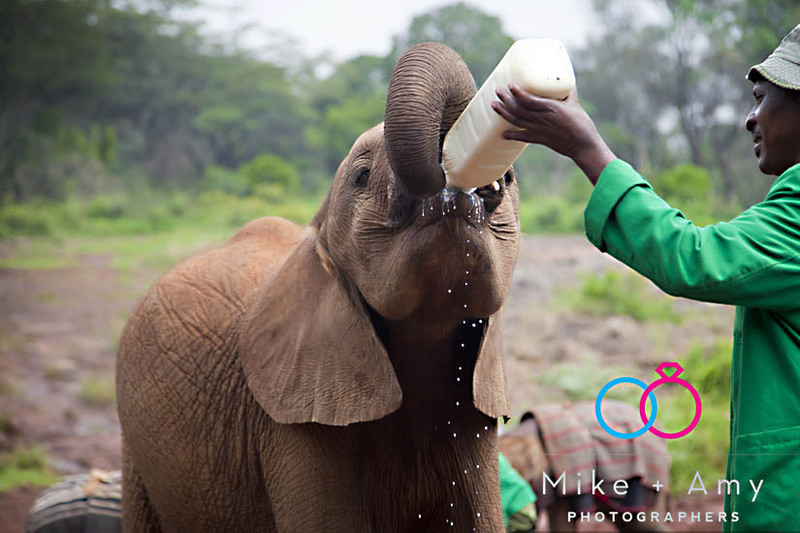 The Wildlife Trust is aimed at raising orphaned black rhinos and elephants into the wild. The trust is also opened once a day between the hours of 11am and 12pm and is a nonprofit trust. Upon arrival you are taken down to a viewing area. After a short while the baby elephants are brought out. They are separated into two groups for the viewing The first are out for the first half and hour and the second for the remaining time. 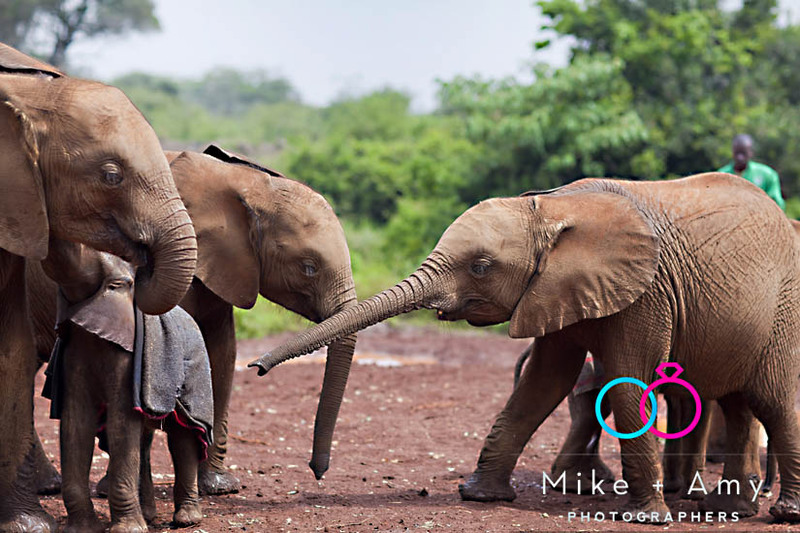 The baby elephants are bottle-feed and then are allowed to play with the other elephants for the remaining time. 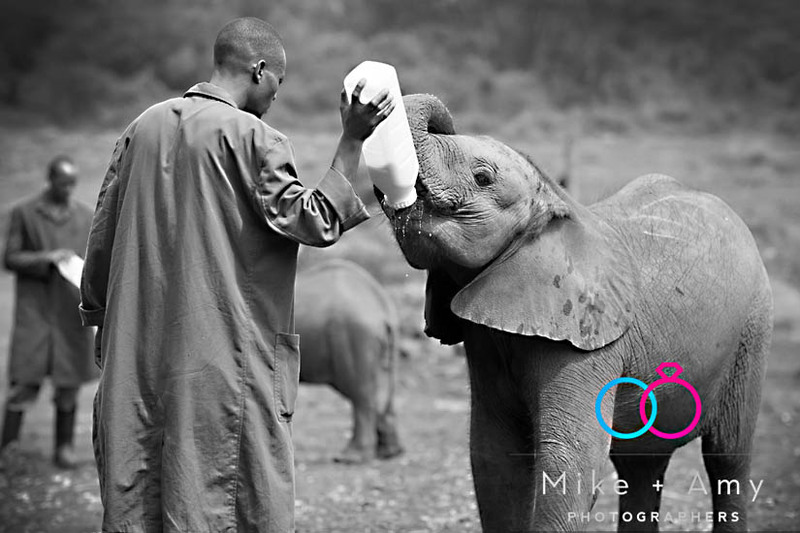 The elephants are bottle feed every three hours. They are feed on a human formula which is imported from England. 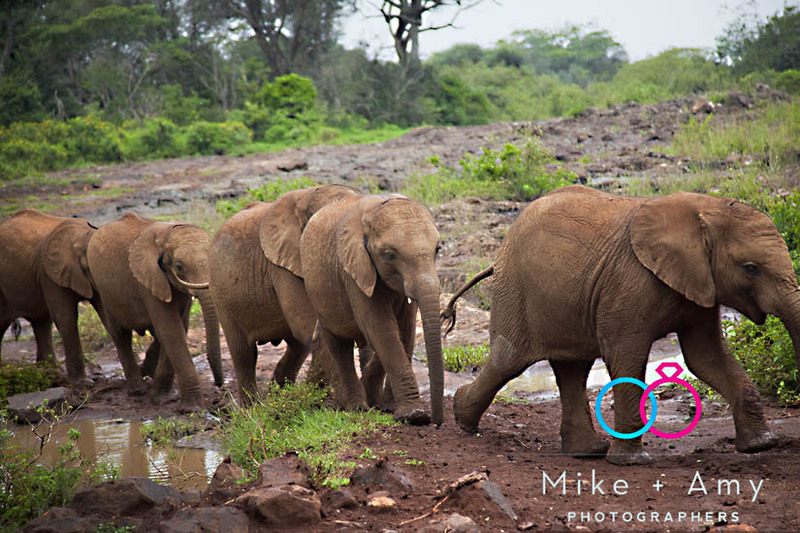 For the rest of the day the elephants are let roam round the national park and then are brought in at night as they are too young to join a herd of elephants. 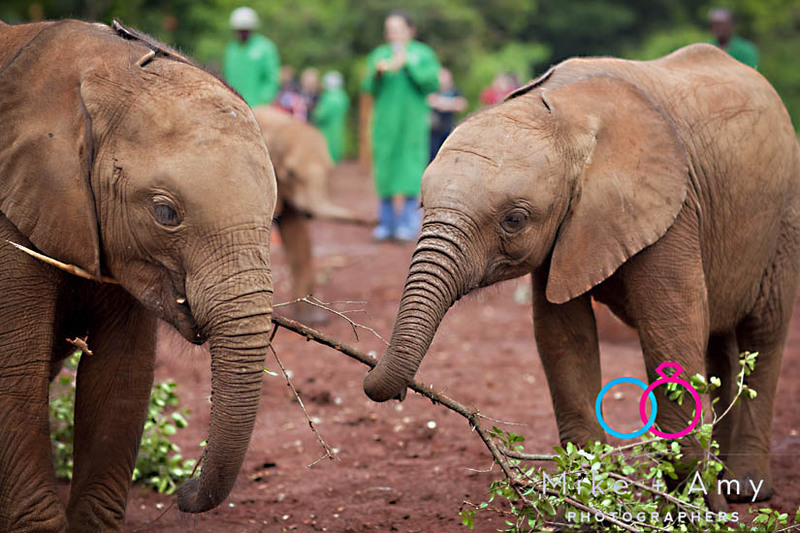 The elephants are kept at the centre for up to 10 years before they will be ready to release back into the wild. Mike and I are having a great time. We will be posting more about our adventures next week. If you would like to contact Mike and I the best way is via email which we are checking as often as we can.